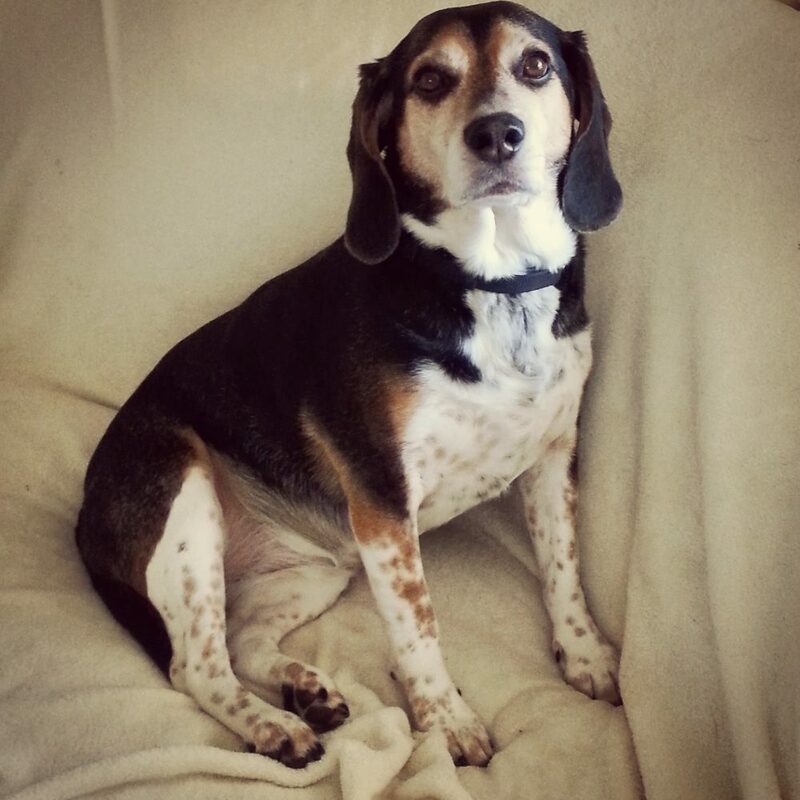 When our beagle, Honey, transitioned from puppy food to adult food, we had a hard time figuring out what food would be best for her. There are so many choices out there! There is food for small, medium, or large dogs; thin or fat dogs; active or couch potato dogs; allergy-prone dogs; and even dogs with digestive issues. 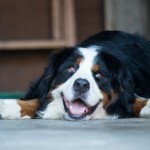 Finding the right dog food for your furbaby can be tough! The most important thing to consider when choosing dog food is the nutritional needs of your dog. Does your dog have loose stools? Has your vet told you your dog needs extra protein or fiber? These nutritional needs can help narrow down your choices considerably. For our beagle: She has always had loose stools. Our vet let us know she may need more fiber. For our beagle: She is a medium-sized dog. Consider the age of your dog. Younger dogs have different nutritional needs than older dogs. This can help you narrow down your food options. For our beagle: She was 1 year old when we decided to switch to adult food. Determine if you dog is the correct weight. Your vet should be able to tell you if your dog needs to lose a few (or more) pounds. If this is the case, you will want to choose a food made specifically for overweight dogs. If your dog is underweight, you will want to choose a dog food that will help your dog reach its optimal weight. 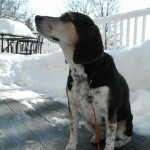 For our beagle: Honey is probably the only beagle out there that is not overweight. 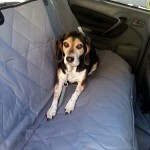 For our beagle: She was quite active at the time we switched to adult food. The steps above can help you choose the right dog food, but even after you know what you need to look for, you still need to spend time (sometimes hours) in the pet store reading labels to find the right food. Or, you could take the information above and spend a couple minutes on the Purina® Pro Plan® website. They know that helping your dog live life to the fullest starts with the right dog food. With this in mind, they have created a simple quiz to help you find the right food. I took the quiz and came up with the Purina® Pro Plan® Focus Adult dog food as the best option for Honey. We took Honey to PetSmart to find her new food. They always have the best selection of items for dogs! 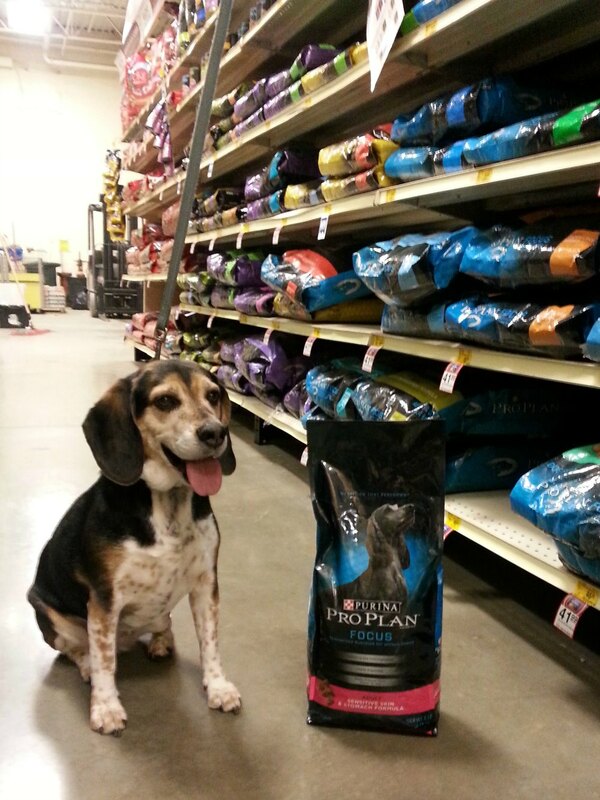 We found that there was a whole aisle dedicated to Purina® Pro Plan®. 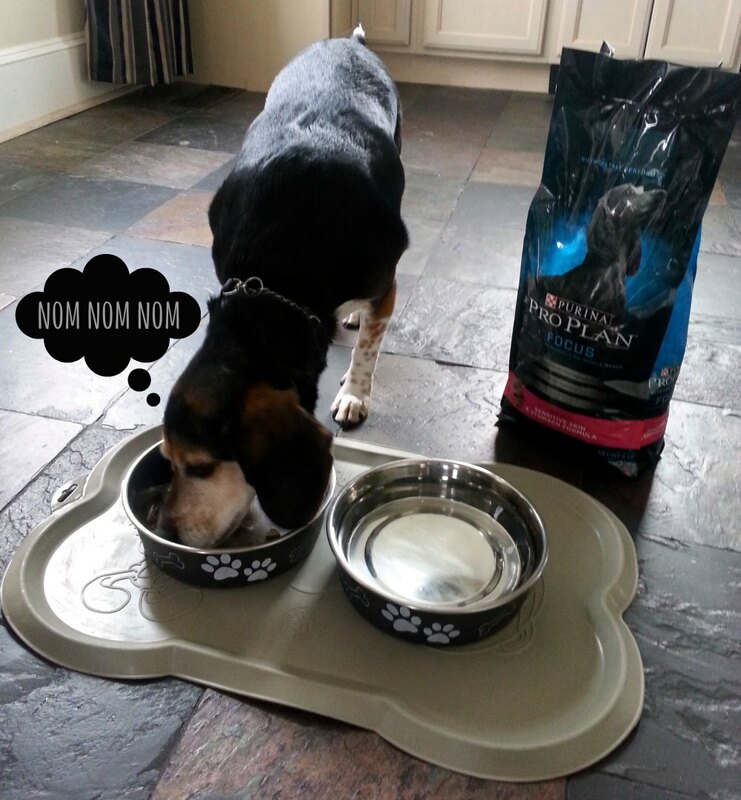 As you can see, Honey loves her new Purina® Pro Plan® dog food. Did you try the Purina® Pro Plan® MyPLAN website? What food was recommended? * Rebate good only in U.S.A. A.P.O’s, F.P.O’s. Void where taxed, prohibited, restricted. Allow 6-8 weeks for shipment. LIMIT ONE REQUEST PER INDIVIDUAL, ADDRESS, or EMAIL ADDRESS. Offer expires 04/30/2015. See full terms. I love how your dog sat for this photo! My dogs were having a free for all lol. We had to bribe them just to get them to sit still. You have a gorgeous beagel. 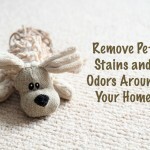 Our dog had food allergies so we had little choice, but soon we will be getting a new dog and this post has a lot of tips that will help with what food we should buy for it. When we adopted our dog, they told us that he ate Purina, so that is what we have always given him. This sounds like really great advice on picking the correct dog food. I don't have pets, but I will share it with friends and family that do. 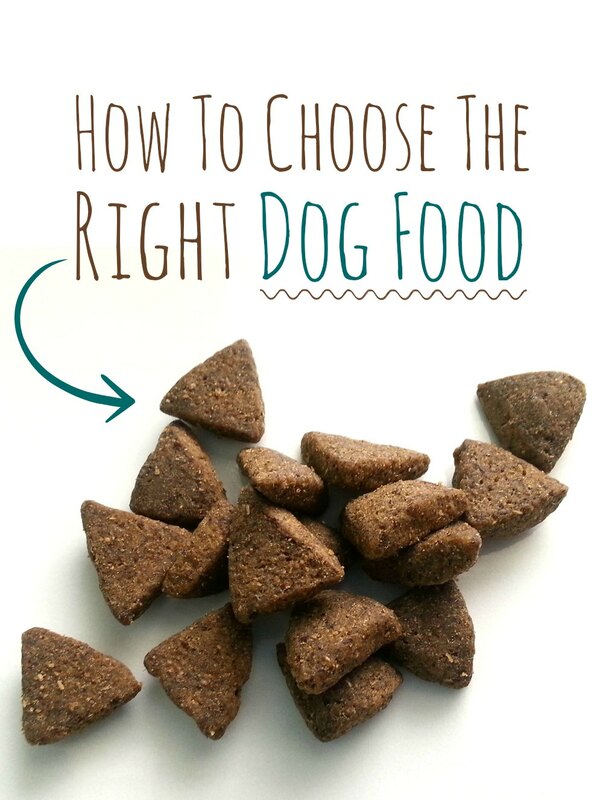 Choosing the right dog food can be so important! Your doggy is adorable! My dog loves Pro Plan! It sure looks like your dog does too. My brother has a dog, and he feeds Pro Plan to him. He totally loves it! Breaking down the food selection process into steps makes it seem easier than I thought. Our dog has been having bad allergies lately, so perhaps a food switch is in order. The food my 10-year-old boxer is on right now was something I found out about when she was younger on one of the boxer forums. She has a super sensitive stomach and it is one of few I can feed her. Your doggy is simply adorable. I love this post, I am on the lookout for the right dog food for my pug as she is getting old, age 9 this month. Thanks for sharing this brand! I love your little Beagle. Too cute. I haven't tried this brand for my dog but I think I will give it a try. I did go and try the site for my dog and the SAVOR® ADULT SHREDDED BLEND WEIGHT MANAGEMENT FORMULA was recommended. I didn't know loose stools in a dog meant they needed more fiber. I thought it would be the opposite. Look at all the pretty spots on your dog! Very cool. And I do think it's important to put consideration into the type of dog food you're buying. We use Purina, but not Pro Plan. Perhaps it's time to see if my dogs would like this variety. Honey is a gorgeous dog! We tried many dog foods but ultimately decided on a really expensive brand because it seemed to have the least amount of junk! I will have to check this out! Finding the right dog food can be a challenge. We tried several foods before we were able to get it right. The right dog food is very important. Our boys go through a 50 lbs bag every other week so the more they get out of it the better. Nice share. I did try the try the Purina® Pro Plan® MyPLAN website and they recommended Bright Mind™ Adult 7+ Chicken & Rice Formula. Our dog is crazy active (like a puppy, still!) and thin, so I'm anxious to try this and see how she does with it! Nom nom nom. That's super cute. Having had a small (hyper) dog, you really have to know what you're getting into, especially if you have a limited amount of space for your dog.